It’s that time of year when high school seniors all over the country are finalizing their college applications. They are making those final selections about academics, size of a school, location, financial aid, and college lifestyle. 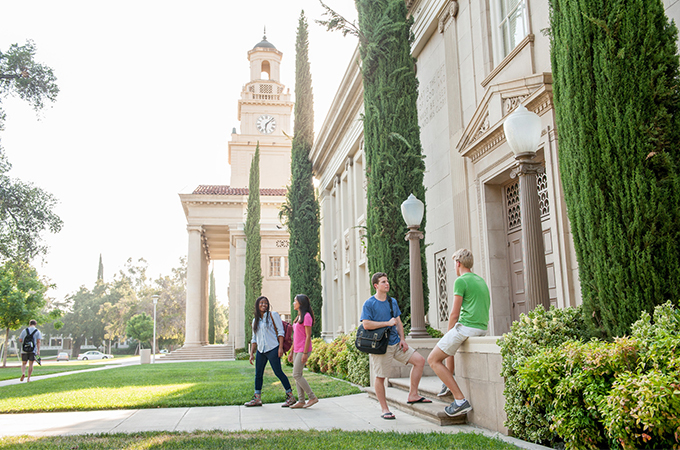 I remember those times vividly and the decision-making process that led me to choose a liberal arts school, specifically University of Redlands. Let me start by outlining my reasons for choosing a liberal arts school and what was on my mind at the time as I weighed my options as a high school senior. Then I’ll reflect on those choices with the benefit of four years of college behind me. First, I wanted to go to a school with small classes and a low student-to-faculty ratio. I enjoyed interacting with my teachers and participating in class, so it was important to me to not be in giant classroom settings with hundreds of students, as at most large universities. In addition, I wanted to go to a school that was smaller in size with a strong sense of community. Coming from a small private high school, I was a little worried a huge university would be a difficult adjustment. Finally, I chose a liberal arts school, specifically the University of Redlands, for the full and well-rounded set of academic programs in a wide variety of disciplines. I felt I was getting the best of both worlds, a smaller school with the educational opportunities of a large university—all the best aspects of setting me up to succeed in school and my future career. I think the biggest advantage of attending a small liberal arts school is the student-to-faculty ratio. At some large universities, classes are so big that professors do not know all their students’ names. This was never the case at the University of Redlands, as each professor knows each student and can always make time for them. Often at big universities, professors are focused on continuing their research and do not put most of their professional energy into teaching. At the University of Redlands and other liberal arts schools, the emphasis is on teaching so the professors put more time and effort into their students. Personally, I thrive when I am able to get to get to know my professors. Before college, I was a little worried that small class sizes would get tiresome, but I can definitely say it has made me a better student and I am glad I chose a liberal arts school with great access to the professors. That aspect of Redlands definitely enhanced my educational experience greatly. Another big advantage of attending a small liberal arts college is the community atmosphere that develops from going to school with a small number of students. Coming from a small high school, I used to think there would not be enough people to engage and socialize with at a small school, but I was pleasantly surprised to find I enjoyed a smaller, tight-knit community. I made many lifelong friends at Redlands, and it was great to constantly run into people I knew when I walked around campus. Another great advantage of attending a small school, which I did not realize until attending Redlands, was that when taking a new class, I already knew most of the students in the room. This made networking with fellow business students much easier because I had already met or worked with most of them. An underappreciated benefit of attending a small liberal arts school is the collaboration and teamwork it fosters. In just about every class I took at the University of Redlands, I worked on a group project or presentation with other students. This greatly improved my teamwork and collaboration skills, which is valuable in my career as virtually all modern workplaces are focused on working within teams globally and virtually. Attending a small liberal arts school also enriches and broadens students’ knowledge of the world through the study of a variety of subjects. When I first started at Redlands, I was dismayed to learn that I still had requirements around language, math, and science classes—three of my worst subjects in high school—and I was convinced that these classes served me no purpose. After I finished these classes, I could say they were difficult at times but they enriched my knowledge and, most importantly, made me a better learner. Being challenged by these subjects expanded my worldview, helped me understand how to learn difficult concepts, and helped me look at subjects in different ways. One of the biggest advantages of attending the University of Redlands can be the Johnston Center for Integrative Studies. Johnston brings together bright, creative, and independent students who have a genuine interest in academic and civic pursuits. Johnston is based on the idea that you should love what you are learning and that you should share your learning process with the people around you. Johnston students have the ability to design their degree, bringing together classes from multiple departments and multiple modes of learning. The Johnston program allows students to break free of the structure and constraints of picking one specific major. Some of the coolest degrees a few recent graduates have earned include Integrated Marketing and Sustainability and The Art of Storytelling. Another aspect of the Johnston program is the community atmosphere. The Johnston complex has two residence halls, a coffee house, classrooms, and community space where students are encouraged to collaborate and learn together. Even students who are not in the Johnston program can still take advantage of some unique classes that Johnston provides, such as meditation and yoga, which provide a nice break from other academics. The Johnston program is truly a remarkable element of Redlands that all students can get involved with to some degree. I am definitely glad I took a chance on Redlands because I cannot imagine having had a much better college experience.